The holidays are filled with tradition. Those traditions range far and wide, from the very general to the extremely particular. But if you were to simmer those traditions to just essentials – reduce it down past the wrapping paper, tree trimming, and twinkling lights – to the essence of the holidays, you would be left with one, simple concept. Sharing. Sharing can mean different things. Sharing can be graded in the same category as “plays well with others.” Shares can be purchased, with an eye towards investment. Shares can measure social media content triumph. But for our purposes, when we speak of sharing, we’re talking about something more basic. For the holidays, we set out to share our good will, festive disposition and spirit of generosity. And what better way to communicate that jolly mindset and generous spirit than with food? To share a meal, an experience – that is the definition and purpose we are looking for this season. Food is the great connector, from the simplest fare to the grandest feasts. Gathering together to enjoy seasonal dishes and celebrate the prosperity of the year behind us is firmly rooted in our holiday customs. The array of seasonal foodstuffs available is a veritable smörgåsbord of options, whether you be guest or host, eater or preparer. Each festive dish connotes the character of the cook, a sense of place for each tradition. Tiny Tim’s goose, the Dungeness crab of the West Coast, your auntie’s questionable fruitcake, that steaming tower of tamales – serve it up, hot, cold, or with extra gravy. From Latkes to prime rib to the Feast of the Seven Fishes – no matter the fare – chop, stuff, and prepare. 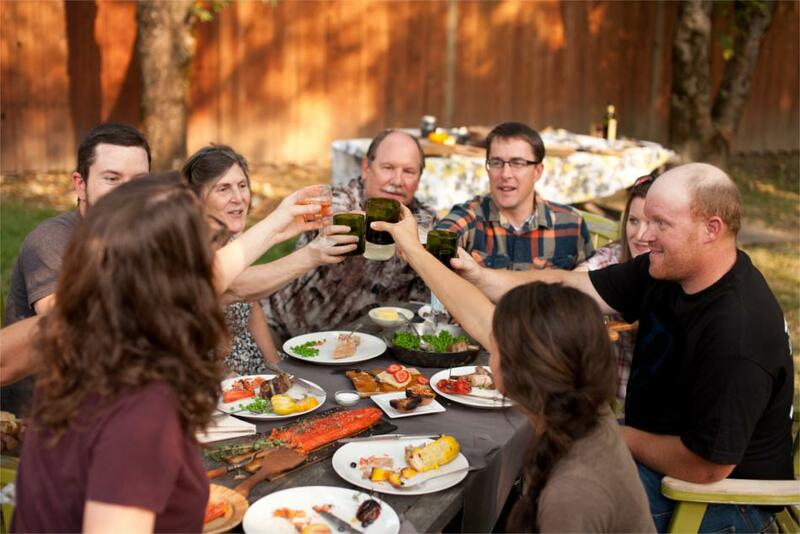 In sharing your family’s traditions and favorite meals, you share a bit of yourself. Happy holidays! Savor, relax and enjoy. May your days be merry and bright. Let’s eat!